Home » Breakfast » First Morning in Paris. What To Do? Many American visitors to Paris arrive at the crack of dawn, with their hotels still unavailable and horrific jet lag setting in. Some launch into a full day of sight-seeing despite feeling lousy, while others hole up in a cafe near their hotel to kill a few hours. Or even beg the hotel to let them check in early. Lately, though, I’ve managed to get flights from the West Coast that arrive in Paris in the evening — typically a Friday evening — letting me grab a quick dinner and crash before launching into my first full day, feeling refreshed and rarin’ to go. What is it that I do on my first morning in the City of Light? Since I tend to hit the sack early on my first night in town, I also tend to wake up while Paris is still closed up and quiet, particularly if it’s a Saturday or Sunday morning. 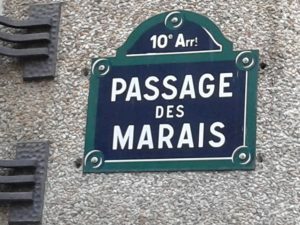 So, I almost always end up wandering through the gorgeous old streets of the Marais, making mental notes of shops and galleries I plan to visit later during my trip, and grabbing a breakfast of croissants and coffee at one of the neighborhood’s many cafes. Lately my favorites have been Le Bouquet des Archives at the corner of Rue des Archives and rue des Blancs Manteaux; Le Reinitas at the corner of Rue de Temple and Rue du Plaitre; and Le Parvis, which overlooks the courtyard of the Pompidou Center, at Rue St. Martin and Rue St. Merri. After lingering on the terrace for an hour or so and watching Paris slowly come to life, I tend to stop at a nearby Monoprix or Carrefour City supermarket to stock up on snacks and drinks, particularly my all-time favorite: Orangina Light, a diet version of the popular orange-pulpy-sparking juice-soda that’s nearly impossible to get in the U.S. without paying an arm and leg. With the room fully stocked, I’m out the door and ready to fully immerse myself in the City of Light. 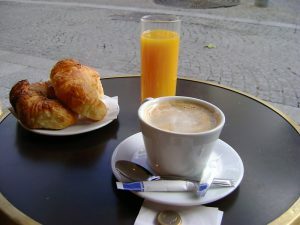 So … what do you like to do during your first morning in Paris? 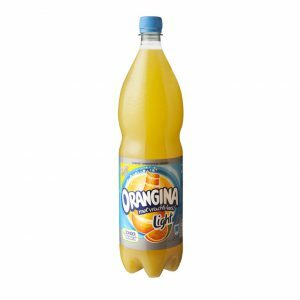 This entry was posted in Breakfast, Cafes and Bistros, Marais, Mornings in Paris and tagged Le Bouquet des Archives, Le Parvis, Le Reinitas, Orangina Light by Bob Adams. Bookmark the permalink. The first day of our short trip last year was mostly about getting oriented and finding a place to eat while desiring a nap. Fortunately, finding good food is easy in Paris even for someone who doesn’t speak French. After lunch, we checked into our hotel, napped for a few hours and set out on foot. I confess that I prefer smaller towns over big cities when I travel, but I loved Paris. It’s a great city for walking, with plenty of green space and a beautiful river to compliment the interesting art and architecture. With only a few must see items on my list and a flexible attitude about exploring, we were never disappointed. Oh, and Bob, The Musée de l’Orangerie was everything you promised and more! 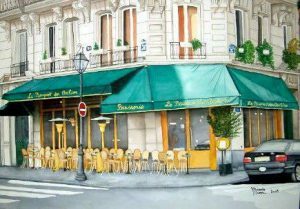 We always celebrate our first day in Paris by visiting the boulangerie tunisienne on the corner of rue de la Harpe and rue St. Séverin. We share a sandwich tunisienne with lots of sauce piquante and a sablé cookie (to go). It’s a tradition that we started years ago, and always ensures a wonderful visit.